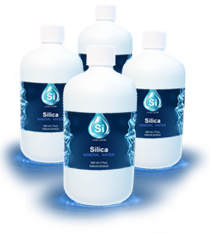 I’ve heard about silica water long time ago. When I came to Canada I learned that here I can buy this water. For many years now my family has been drinking this water and the best thing is that all of us, me, my husband and our kids do prevent flue and colds by drinking it. My Mom is 69 years old. 6 years ago she was diagnosed with progressing osteoporosis and was prescribed to take calcium regularly. However she was not feeling any better. At the same time she started having problems with her stomach which was caused by a lot of pain killers she was taking. We were ready to do anything to help my Mom. One day I was talking to my colleague about my mom’s health problems and it turned out her mom had the same problems plus she had diabetes. My colleague recommended my mom to start drinking silica water. My mom now has been drinking silica water for more than a year. She has become a completely different person. She does not have any pains any longer and feels great. Now, all members of our family including young kids drink silica water regularly. We thank my colleague for the advice and you for your great water. I am 57 years old. Three years ago I had all sorts of sickness. High blood pressure, high cholesterol, liver problems. And to tell you the truth it was very discomforting. In one of the magazines my wife read an article about the silica water. And we decided to try. Now we’ve been drinking it for more than 2,5 years. Now I feel great and regret that I had not known about the silica water earlier. My wife looks great and young. Aside from drinking water she washes her face with it every morning. We wish everyone good health. I was asked as a client to write an article about the silica water which I have been drinking now for more than a year and have been enjoying a lot. 2 years ago I started losing my hair. If I waited a little longer, I would not have needed to go to hair dresser any longer. I tried everything, shampoos, different non traditional methods, including onions and garlic lotions. The smell was terrible but nothing was helping. Once, a friend of mine, whose family had been drinking that water for some time by then, recommended it to me. It took him some time to convince me. After garlic lotions I kind of gave up. But he was insistent, ‘Michael! You have nothing to lose!” And I agreed. In a month I could see the difference. 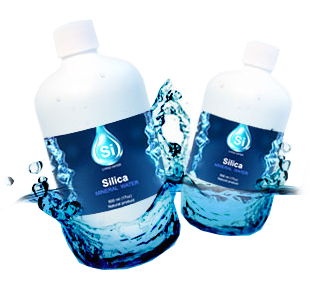 For more than a year I have been drinking the silica water now, rinse my hair with it and am very happy. Of course I do not have as much hair as I used to but I stopped losing my hair. And I also realized that before saying “no” to something, one need to try what is being offered. 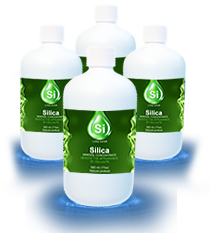 I had heard that silica water I good for your health but could never find it in stores. One magazine had an ad about the company which manufactures silica water. I went to that office and was given a lot of useful information about the silica water. For a long time I used to have a bruise on my leg which would not heal. I started drinking the water and putting silica compression bandage on my bruise. I could not believe my eyes, in 2 weeks my bruise started healing and by the end of the month almost healed. I continue to drink silica water as prophylactics and also because it tastes good.